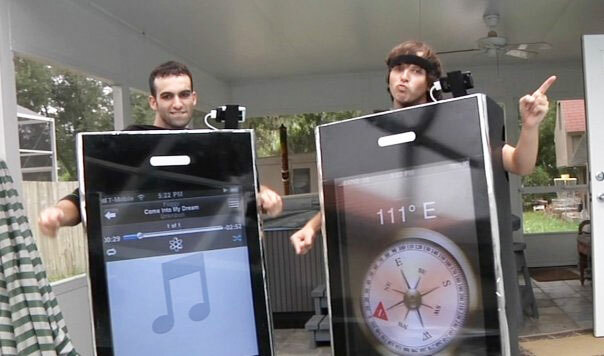 These iPhone costumes are going to take some beating this Halloween. Created from LCD TV’s and using car batteries for power. 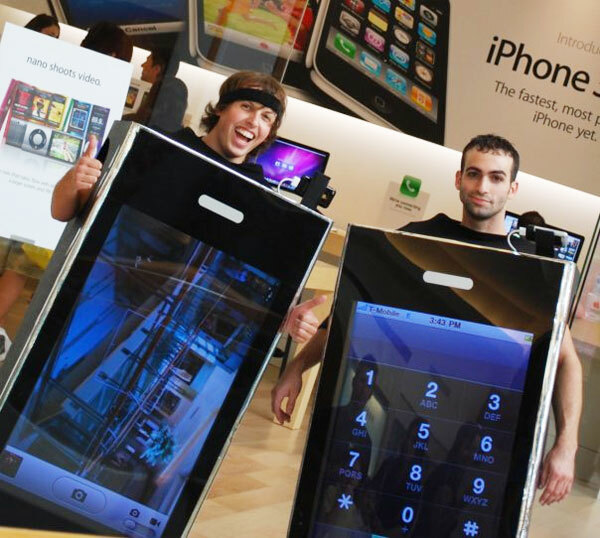 Unfortuantely the screens are not touch sensitive and the actual iPhones are mounted on the top of the LCD screens which hetn display the content. The whole custome weighs in at around 85lbs and the car batteries that provide power are situated between their legs. Not that comfy but well worth it. Watch the video after the break to believe. If you have a spare LCS TV, car battery and iPhone why not give it a go this Halloween.